Chinese Bridge Summer Camp application deadline extended to March 11, 2015. 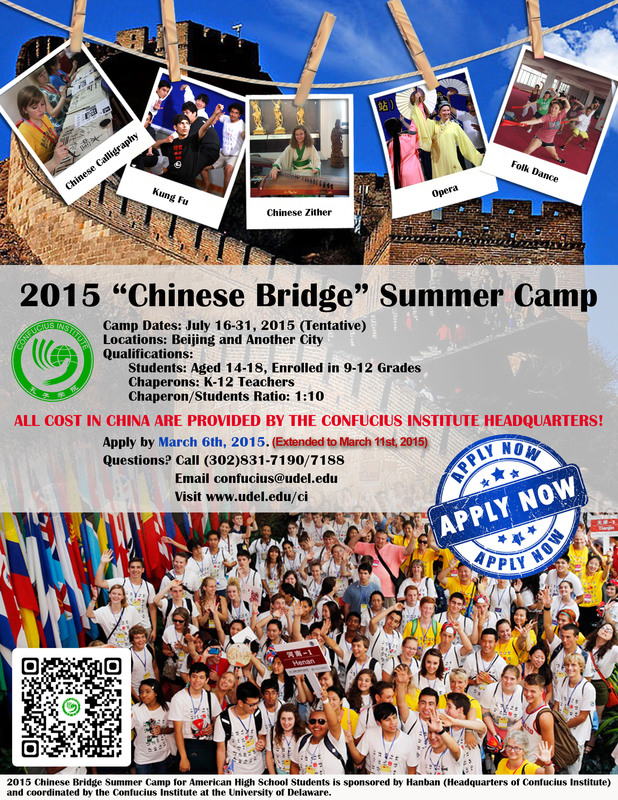 The application deadline for the 2015 Chinese Bridge Summer Camp is extended to next Wednesday March 11, 2015. Please make sure you submit your application to the CI office before the due date. Applications are accepted via either email at confucius@udel.edu (scanned copies) or regular mail to the Confucius Institute at the University of Delaware, 121 E Delaware Ave, Newark, DE 19711.